I know it’s hard to believe, but this deal has already SOLD OUT (sorry!). Here’s a HOT 50% off deal online at JCPenney: spend $25 for a $50 worth of merchandise at JCP.com at Plum District. This hot Plum District deal will likely sell out before it officially ends on Thursday, so buy it now if you want it. Limit one per person and one additional gift. Not valid in JCPenney stores, it’s only valid online at JCP.com. Plenty of time to use your $50 voucher between Friday, August 12 and it expires on January 31, 2012 (you could even save it for holiday shopping). 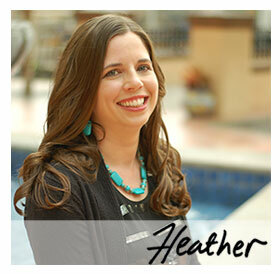 Thanks for posting, Heather! This deal went SOOOOOO FAST!!!!! People can sign up for Plum District, still! I’d wait until tomorrow, though…let the system breathe after such an event! We also do free online fundraisers for schools and organizations. Anyone can contact me in Houston, if interested! Just an FYI, it’s actually $25 for $50 to spend. I think I got the last one, lol THANKS!!! I know – I can’t believe how fast they sold out! Wish more of my readers could have gotten this deal! Coupon code has expired, but $25 for $50 worth of merchandise is still a good deal. Thanks!